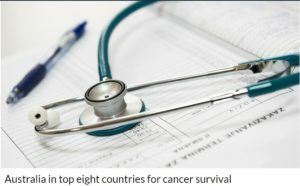 Australia in top eight countries for cancer survival: Compared with the rest of the world, Australians are doing well when it comes to surviving cancer, according to international authors, including an Australian. 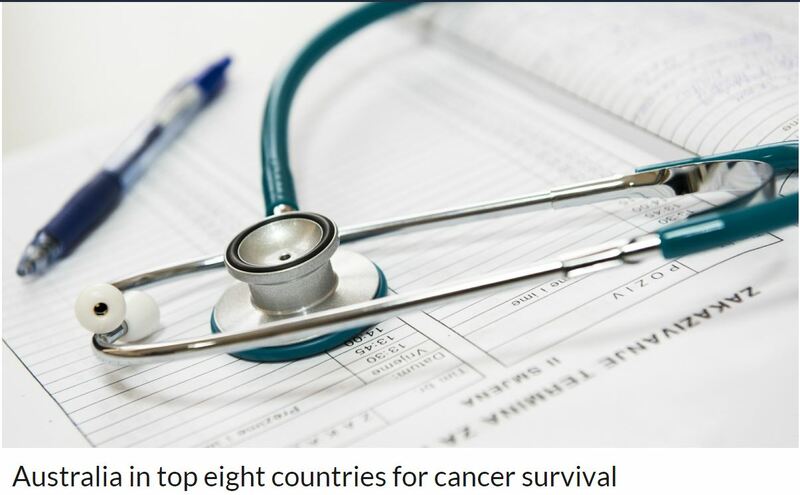 They compared five-year survival rates across cancers and across countries. Australia is in the top two countries for breast cancer and rectal cancer survival, the top three for colon cancer, and the top 11 for skin melanoma, they say. Australian man in critical condition with diphtheria: Another reminder not to be lax about immunisations. It’s not just measles that is resurgent. This Queensland man contracted diphtheria right here in Australia. He had not been overseas and public health officials are working to trace his contacts and find the source of the infection. And, of course, he wasn’t vaccinated. As a bonus with this story, there are three video clips. One of the normally combative Pauline Hanson apologising; next, yet another measles outbreak in the USA is provoking discussion of forced vaccination (yes, you heard me right) in several states, and finally, a group of Wall Street Journal staff discuss the politics of vaccination and its implications. Exercise interventions for cognitive function in adults older than 50 – a systematic review with meta-analysis: When exercise prescription was examined, a duration of 45–60 min per session and at least moderate intensity, were associated with benefits to cognition. The results of the meta-analysis were consistent and independent of the cognitive domain tested or the cognitive status of the participants. Herbal products may compromise prescription drugs and cause serious side effects: Herbs that have a physiological effect are drugs – less-regulated, less-refined and less-tested drug. New blood test detects Alzheimer’s Disease up to 20 years before symptoms begin: The world’s first accurate blood test for Alzheimer’s disease has been developed by a team of scientists from Australia and Japan, with the test able to detect the presence of the disease up to 20 years before symptoms begin. Gleevec transforms cancer treatment for Chronic Myelogenous Leukemia: Millions of people will be spared from dying from cancer after targeted therapy. Before the creation of targeted therapy, only 30% of chronic myeloid leukaemia patients would survive more than 5 years from diagnosis. Now, thanks to targeted therapies like Gleevec, 5 year survival is over 90%. Prior to the development of targeted cancer therapies, cancer was generally treated by surgery, radiation therapy or chemotherapy. Surgery can still be an effective standalone treatment for some cancers, but is less effective for large tumours, cancers with metastases and not possible for many blood cancers. Radiation and chemotherapy both damage normal tissue, so targeted medicines are able to target primary tumours and metastases with fewer effects on normal cells. A great example of a targeted medicine is Gleevec, a kinase inhibitor developed to block the mutated kinase produced by the mutant ‘Philadelphia Chromosome’. The discovery of the chromosome abnormality, abnormal kinase, drug development and development of subsequent drugs to treat resistant cells serves as an excellent roadmap for targeted therapy development. This approach has been used multiple times, however Gleevec is highly prolific as the Philadelphia Chromosome is a more commonly found cancer associated chromosomal abnormality. Oral contraceptives: The history of birth control pills: One of the most important inventions in enabling women to have autonomy over their reproduction, “The Pill” also has wider health uses outside of its role in mitigating the risks associated with unwanted pregnancy. Blaming opioids to try to make Woo look good: “Integrative medicine” advocates: Co-opting the opioid crisis to promote funding for acupuncture by Medicaid: The opioid epidemic is a serious public health crisis in the U.S., and new tools and treatments to deal with chronic pain are urgently needed. Unfortunately, where public health officials see a crisis, advocates of “integrating” quackery with science-based medicine see an opportunity. In this case, promoters of pseudomedicine are taking advantage of the opioid crisis to persuade state Medicaid systems to pay for quackery like acupuncture.